San Francisco, April 10: Google has introduced a new open platform called "Anthos" to run and manage apps from anywhere. Based on the Cloud Services Platform that Google announced in 2018, "Anthos" lets users run applications on existing on-premise hardware investments or in the Public Cloud. "Anthos" will also let users manage workloads running on third-party clouds like Amazon AWS and Microsoft Azure. Google Leaks Pixel 3a on Official Website. 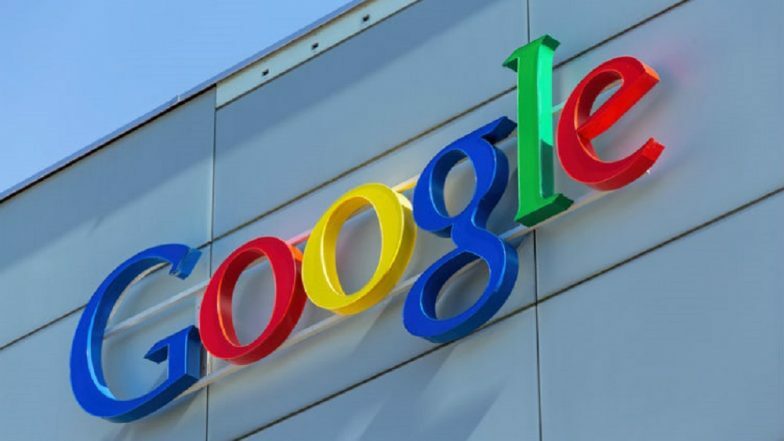 "Anthos not only allows customers to deploy Google Cloud in their own data centres but also gives them the flexibility to build, run and manage their workloads within their data centre, on Google Cloud, or other cloud providers (Multi-Cloud), without making any changes," said Thomas Kurian, CEO, Google Cloud. Oppo Reno Flagship Phone With 10x Zoom Technology Launching Today; Watch LIVE Streaming & Online Telecast of Reno Launch Event. "We are excited that partners including Cisco, Dell, HP, Intel, Lenovo and VMware are offering joint solutions with us," Kurian told the gathering at the "Google Cloud Next" event here on Tuesday. Google also announced "Anthos Migrate" in beta, which auto-migrates virtual machines (VMs) from on-premises, or other clouds, directly into containers in Google Kubernetes Engine (GKE) with minimal effort. "Google Cloud's software-based approach for managing hybrid environments provided us an innovative, differentiated solution that was able to be deployed quickly for our customers," said Darryl West, Group CIO, HSBC.